The classic combo of denim and white. Karen Kane top. Joe's Jeans skirt. BC shoes (similar here). Michele watch. Hare + Hart bag. 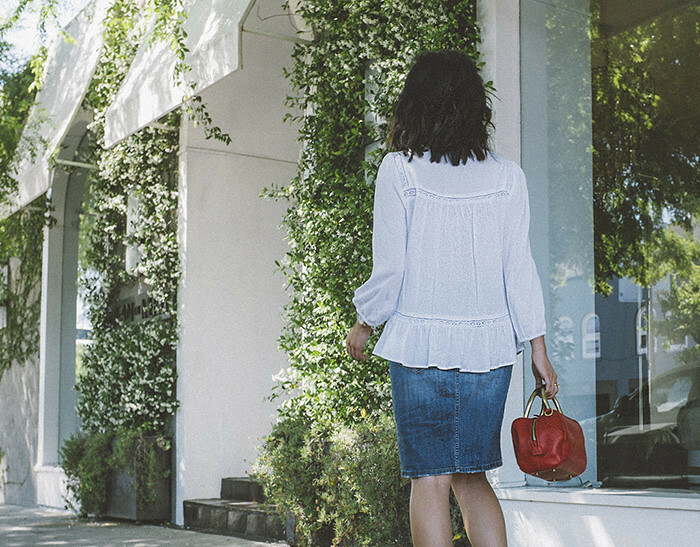 I've frequented Melrose Place quite often these past couple of weekends - grabbed espresso shots at Alfred's for an afternoon pick-me-up, sifted through meticulously curated racks of fine clothes, and lunched around the block's charming establishments. The creativity and vibrancy of the singular neighborhood street commands nothing but a relaxing day well spent. I wore a denim skirt by Joe's Jeans, whose boutique resides in Melrose Place, paired with a loose, gauzy top from Karen Kane. 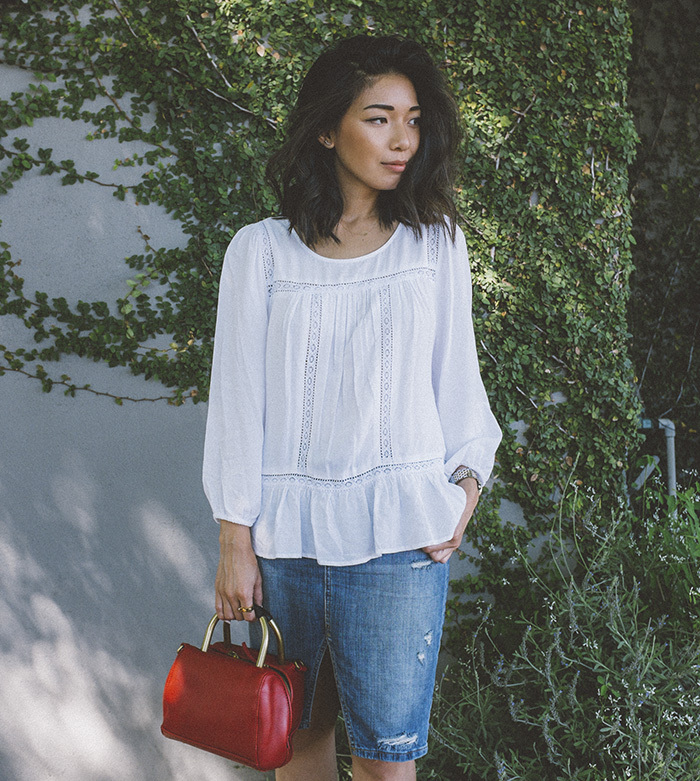 I love the top's flared detail that makes this casual look a bit more feminine. And you might have been sick of seeing my new Hare + Hart bag on my Instagram these past two weeks, but I just can't get over how chic and fun this little red bag is.